Our internationally respected Palaeoscience team is the largest in Australia. Together, we cover almost every facet of palaeontology and palaeoanthropology: from microfossils to Ice Age megafauna to dinosaurs, and from giant arthropods to sabretooth cats to Neanderthals. We use cutting-edge tools and approaches to answer questions of global significance relating to palaeoclimate, the Cambrian Explosion, mass extinctions, plate tectonics and the evolution of a vast range of vertebrate and invertebrate species. Our scientists are on the leading edge in the development of 21st Century approaches in areas ranging from the virtual reconstruction of fossils, to computer-based biomechanics and 3D geometric morphometrics. Understanding relationships between how animals function and their shape or morphology is fundamental to the understanding of how and why animals have evolved. In the Function, Evolution and Anatomy Research (FEAR) lab within the PRC we apply a range of sophisticated 3D computer-based approaches to better understand these relationships. World leaders in the use of 3D CT scan data (serial x-rays) head projects building and analysing computer models of living species, and the virtual reconstruction and analysis of fossils. Combining these latest methods with evidence from the field or laboratory provides powerful new insights into how evolution works. These approaches are applied to an extremely diverse range of animal groups, fossil and modern, from dinosaurs and 'terror birds' to crocodiles, goannas (monitor lizards), and legless amphibians; and from humans and their ancestors, to fish. Current projects range from studies into the biomechanics of giant extinct eagles and 300kg short-faced kangaroos, to the skull mechanics of Neanderthals and the astounding transformational evolution of the mammalian ear, where the jaw bones of reptiles were recruited to become the tiny bones essential to hearing efficiency in humans and their mammalian relatives. 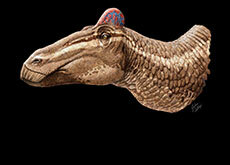 Dinosaurs were Earth’s most successful land animals and are found on all continents around the world. Research at the PRC centres on diverse aspects of their behaviour, appearance, and ecology with particular focus on Australian and Canadian dinosaurs. Using a combination of traditional and high-tech approaches, scientists are exploring how these animals evolved, moved and fed while shedding new light on Australia’s own prehistoric past. The Palaeoscience Research Centre (PRC) hosts an international research group studying the end-Permian (late Changhsingian, 252 million years ago) "Mother of them all" mass extinction and related deep-time climate-change in China and Australia, led by Ian Metcalfe. During this extinction, the largest known to science, massive volcanism, global warming, oceanic anoxia and severe climatic perturbations almost killed off all life on Earth with over 90% of all species wiped out. This work has included palaeontological studies of the Permian-Triassic transition interval (including the Permian-Triassic boundary and mass extinction) both on land (terrestrial environment) and in the sea (marine environment). Researchers in the PRC are also studying the more recent mass extinction event between 40,000 and 50,000 years ago when the megafauna of Sahul (Australia, New Guinea and Tasmania) was wiped out. This research challenges the claim that humans were primarily responsible for the demise of the megafauna and instead suggests climate change to be the primary driver of extinction. Global plate tectonics is the scientific theory of large-scale motion of the Earth's lithosphere (crust and mantle). The Palaeoscience Research Centre host some of the leading researchers employing cutting-edge analytic tools to investigate microfossils extracted from ancient sedimentary rocks, including radiolarians, conodonts and nannofossils, which provide vital information on global plate tectonics. The tiny fossils, ranging in size from a few microns to several hundred microns, are chemically extracted from rocks and then studied using state of the art binocular optical and scanning electron microscopes. The microfossils are used to date the age and duration of ancient ocean basins and to constrain the timing of ancient collisions between continents, continental fragments and volcanic arcs. Current work largely focuses on the evolution of Asia, SE Asia and the Asia-Pacific, including the evolution of ancient Tethys ocean basins, collision and amalgamation of Asian continental fragments and the collision of India with Eurasia. 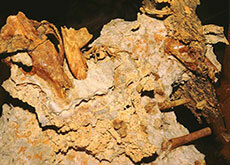 Palaeoanthropology is the study of human evolution through the analysis of the skeletal fossil record. Researchers in the Palaeoscience Research Centre are particularly focused on studying how climatic variations and dietary changes during the Plio-Pleistocene have shaped the biology, morphology and evolution of our earliest ancestors. Because the fossil remains are often very rare and fragmentary, we employ non-destructive digital approaches including Geometric Morphometrics, Virtual Reconstruction, Occlusal Fingerprint Analysis and Finite Element methods. With a recent ARC Discovery Project, we are currently investigating if Neanderthal cranial morphology was biologically suited to respond well in cold habitats, or it was simply a result of a random genetic drift. We are also reconstructing the diet and ecology of early hominins from East and South Africa such as Australopithecus and Paranthropus species. 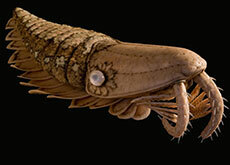 The Cambrian Period (around 500 million years ago) is arguably the most important phase in the evolution of complex life. The evolutionary event known as the Cambrian ‘explosion’ embodies the proliferation of marine organisms and the appearance of most of the major animal groups familiar to us today (e.g., arthropods and molluscs). Animals with preservable hard parts, e.g., shells, and those that could burrow and mix the sediment (such as worms), became increasingly abundant and forever changed the marine biosphere. 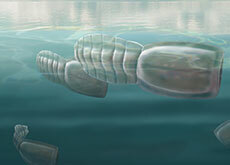 This interval also heralds the Cambrian arms race, a phase that amplified ecological complexity, including the advent of predator-prey relationships that completely re-shaped food webs within marine ecosystems. The Palaeoscience Research Centre hosts some of the world’s leading researchers in this field, having published extensively on Cambrian fossils from many sites across the globe. For example, some of our current projects include the study of exceptionally preserved faunas (including fossilised soft tissues, such as the digestive systems of arthropods) from the Emu Bay Shale (Kangaroo Island, South Australia) and the Weeks Formation (Utah, USA). Localities such as this provide critical windows into the Cambrian world by giving a glimpse of complete organisms and their communities, rather than the more common preferential preservation of hard parts in the fossil record.